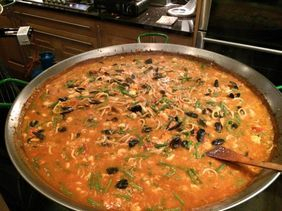 Hand Made Cooks are an innovative catering company covering the Surrey and Sussex area. We are committed to providing quality fresh food for your special occasion at an affordable price to suit your taste and budget. We pride ourselves on our attention to detail and high standards. Whether it's an intimate dinner party or a big celebration with a hungry crowd to feed we are happy to cater for your specific requirements. With over 20 years’ experience in the industry between us we have learnt a wide range of skills and techniques from various cuisines and pride ourselves on our passion for good food. 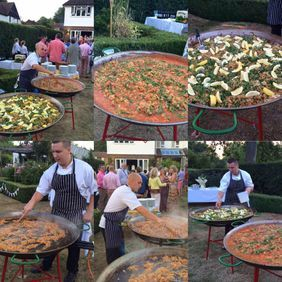 We cater for dinner parties, hog roasts, paella, hot and cold buffets, bowl food, canapés, barbecues, private chef hire and afternoon teas.